Just like last year, Waddell and I had a tough time deciding the final winners…and you all made it even harder this year with almost twice the amount of entries as last year! Some other costumes that stood out to us were a fierce looking Green Dragon costume, a “spooki” grim reaper, both Aladdin costumes, Whitemane, and 2 witchy and devilish Blood Elves. ^_^ There was a beautiful Draenie shaman who has an amazing collection of gear, as do the others that submitted “elite” costumes. See all the costumes here! I Hope Everyone Had a Happy Hallow’s End! Also, the Hallow’s End Costume Contest is now over. Thank you all that participated! There are a lot of costumes (over 50!) to judge. Y’all made it harder this year for me and Waddell…so many great and unique costumes! But, I’m happy to see a larger turn-out this time. ^_^ The winner results should be posted within a couple of days. Only Today and Tomorrow…then it’s Halloween! November should be packed more with new stuff. It looks like I will have more time for “leisure activities” then. The calm before the storm….. Finally! The end of the Four Seasons collection, the fall outfits, are up. Yea for Kirina! Real life is always more important than a fantasy game…no matter how better the game may seem….And, as far as real life is concerned, I’m being worn thin. You finish one thing, then something else pops up. Think you have a weekend off? Nope. You’ve got car trouble, family gatherings, and you have to be a good friend and go to their kid’s birthday party. Anyway, enough of my sob story. I’ve been happy to see a larger turn out for this year’s Hallow’s End Costume Contest. I’ve also added this year’s prizes. AND, one more thing. I’ve been starting to create my own knitting patterns based on WoW. I only have one up so far, but, just to let you all know, the Crafts under the About page has, and will have, more than just coasters. The Hallow’s End Costume Contest is up for 2010! It’s that time of year again! 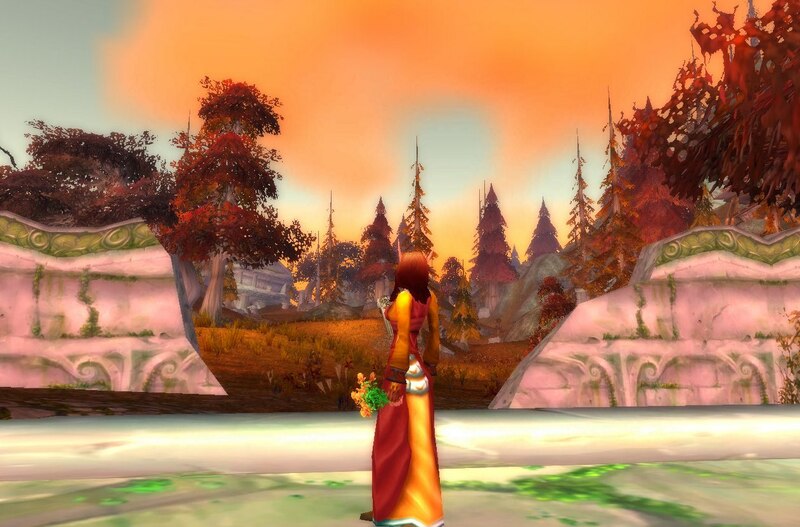 ^_^ I’m so happy it’s finally fall and Hallow’s End time! I cordially invite you all to participate in the Kirina’s Closet SECOND annual Hallow’s End Costume Contest! I have not decided on prizes yet, but, they will be determined soon. They will probably be much like last year’s prizes, which can be seen here. 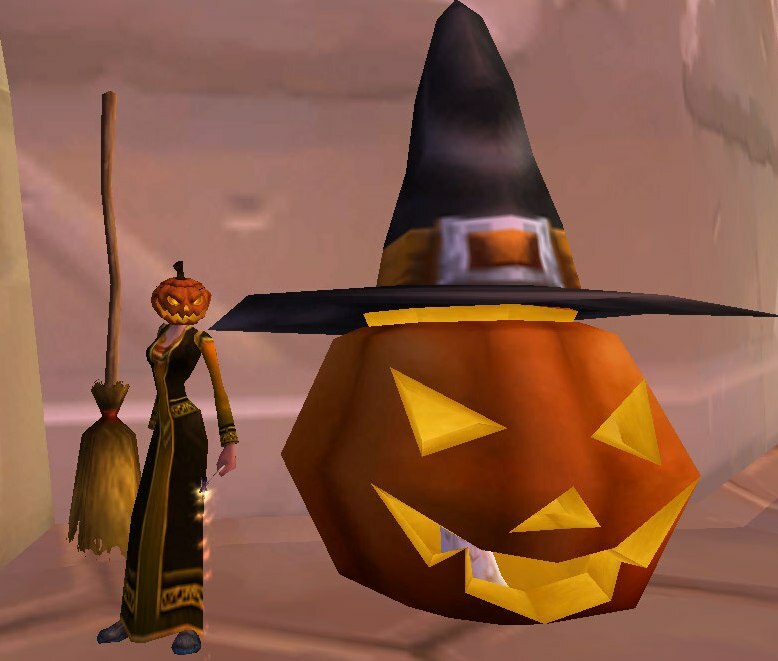 Click Here to already submit a costume: Kirina’s Closet Hallow’s End Costume Contest! …Or click “more” for additional information.